The conference will focus on applying set-theoretic analysis in the interactions between Banach spaces and compact spaces. Every Banach space X induces the dual ball BX* which is compact in the weak* topology and through which X can be successfully investigated. On the other hand every compact space K induces the Banach space C(K) of continuous functions on K, the construction which has been used to produce numerous conterexamples in the general Banach space theory. Combinatorial analysis of the geometry of Banach spaces and set-theoretic topology in the context of weak* and weak topologies associated with Banach spaces are the methods which turned out to be particularly successful in investigating the above interactions. The aim of the conference is to discuss recent advances in stochastic analysis and control on the occassion of prof. Zabczyk's 50 years of scientific activities. The following areas will be studied: control and stochastic control theory, stochastic evolution equations, stochastic analysis, mathematics of finance. The focus of the conference is to put on the global qualitative study (topological and ergodic) of differentiable dynamical systems, especially diffeomorphisms and vector fields, that are not uniformly hyperbolic. There will be the following minicourses: Shaobo Gan: Partially hyperbolic singular flows; Katrin Gelfert, Michał Rams: Dimension and Lyapunov exponents in conformal non-hyperbolic dynamics; Andy Hammerlindl, Rafael Potrie: Classification of partially hyperbolic diffeomorphisms in certain 3-dimensional manifolds; Carlangelo Liverani: Fast-slow systems: beyond averaging and stable ergodicity; Jairo Bochi, Christian Bonatti: Some perturbative techniques in C1 dynamics; Anatole Katok: Measure rigidity beyond uniform hyperbolicity: an introduction. Organizers plan to bring the forefront researchers from the three countries: Chile, France and Poland working on evolutionary PDE's. The topics presented will range from abstract through singular parabolic problems to reaction-diffusion equations and systems and their steady states. More specifically, they will emphasize Navier-Stokes system, problems where facets play a major role for analysis of solutions and chemotaxis systems. The topics presented belong in general terms to the theory of formation, existence and evolution of localized structures in PDE models, their qualitative behavior and short and long time existence. The relevance of these issues in applications will also be emphasized in physics, biology or geometry. The aim of the school is to provide the students sufficient information so that they shall be able to participate in the analysis of data from gravitational-wave detectors. The school will consist of around 20 one-hour lectures. There will be introductory lectures on general theory of relativity with emphasis on the theory of gravitational waves. These will be followed by lectures about astrophysical sources of gravitational radiation, including modeling populations of different types of such sources in our Universe. A substantial part of the school will be devoted to gravitational-wave data analysis. There will be a basic introduction to statistical theory of signal detection in noise and parameter estimation followed by applications of the theory to various types of gravitational-wave signals: impulses, chirps, amplitude and frequency modulated periodic signals and also stochastic signals. The school will be devoted to stochastic analysis and its applications. The following topics will be discussed: random matrices and free probability, Malliavin calculus for jump processes, analysis and representation of infinitely divisible distributions and processes, subordinators and potential theory. The lectures will be given by: Víctor Pérez Abreu (CIMAT), Nicolas Privault (Nanyang Technological University), Jan Rosiński (University of Tennessee), Zoran Vondraček (University of Zagreb). The conference will concern new trends in arithmetic algebraic geometry. The list of invited speakers: Grzegorz Banaszak, Alexander Beilinson, Bhargav Bhatt, Andre Chatzistamatiou, Pierre Colmez, Gabriel Dospinescu, Hélène Esnault, Laurent Fargues, Jean-Marc Fontaine, Wojciech Gajda, Jochen Heinloth, Lars Hesselholt, Moritz Kerz, Marc Levine, Jan Nekovar, Vincent Pilloni. The aim of the conference is to present various aspects of applied topology from classical to the recent research results. Among the main topics of the conference there are: theory of TC (robot motion planning) and its various modifications (as well as the Lusternik-Schnirelmann category); topology of configuration spaces (and applications, including applications to combinatorics); stochastic algebraic topology (random complexes, random manifolds, applications); Morse theory in the context of applications, discrete Morse theory; some elements of computational topology; applications of topology beyond mathematics, e.g. to magnetohydrodynamics, population biology, medicine, engineering and other sciences. The conference aims at bringing together Polish and Japanese specialists in Geometric Singularity Theory interested in Applications, as well as other researchers willing to connect with the Singularity Theory techniques. In particular, the diffusion of these methods and their potentiality in actual research problems among the young researchers (postgraduate and postdoctoral students) is one of the goals of the meeting. Topics of interest: Lagrangian and Legendrian singularities, Asymptotic behaviour around caustics and wavefronts, Symplectic singularities, local invariants, Singular symplectic, contact and Poisson spaces, Systems of rays, optical caustics, Bifurcations of caustics and wavefronts, Singularities of smooth maps and differential forms, Motivic integration, Subanalytic and semialgebraic sets- Lipschitz stratifications, Lagrangian cobordism invariants, Blow analytic equivalence, Singular reduction, Hamiltonian systems and their generalizations, Applications to physical systems and control theory, Differential geometry and singularities. The theory of differential, difference and discrete equations in the complex plane is very rich. Many models of mathematical physics can be described by differential or difference equations (or integrable systems) and it is desirable to describe their solutions and their singularities, which often are related to critical phenomena. Most of the well-known special functions of mathematical physics solve differential/difference equations. Main topics: Ordinary differential equations in the complex plane. Formal and analytic solutions. Stokes multipliers. Difference and discrete equations, including the q-cases. Dynamic equations. Special functions (hypergeometric functions and others), orthogonal polynomials, continuous and discrete Painlevé equations. Formal solutions of PDEs (heat, semilinear heat, Burgers type, KdV, nonlinear Schrödinger). Holomorphic vector fields. Normal forms. Summability of WKB solutions, singular perturbations problems. Asymptotic expansions, Borel summability, Gevrey estimates. Summability of formal solutions of difference equations. Integrable systems. Applications in applied mathematics and mathematical physics. The progress in science is stimulated by a continuous flow of thoughts and ideas between researchers working on sometimes entirely different topics. This is most visible in mathematical modeling where concepts of stability, bifurcations and wave propagation cross barriers between different sciences and provide tools capable to describe substantially distinct phenomena which eventually have common structural features. The scope of the conference embraces: integrable systems, mathematical modeling of plasma dynamics (ion thrusters), reaction-diffusion systems in biology ( travelling waves), hydrodynamics (superfluid helium). Recent years have witnessed rapid development of the theory of semigroups of operators. The aim of the conference is to present the state and advances of this theory in Poland and throughout the world. The topics will include: semigroups of operators in stochastic processes, in partial differential equations, in mathematical biology, etc. Attention will be paid to questions of asymptotic behavior and convergence of semigroups, semigroups in Hilbert spaces, functional calculus, and to cosine operator families. The block seminar will be held jointly by students from Freie Universität, Humboldt Universität, and Polish students from Wroclaw and Warsaw Universities. It is organized as a cooperation of Gavril Farkas (HU), Holger Reich (FU) and Tadeusz Januszkiewicz (IMPAN). Compressible flows are broad area of mathematical investigations, here new concepts of analytical tools appear which make rapid progress in different fields of mathematics. The aim of the meeting is to concentrate several people representing the current trends in the mathematical fluid mechanics, concerning the problems related to compressible flows. We plan 20 main talks (one hour each) and short contributions of Phd students. The meeting will be very important for the Polish community of PDEs, now we have more then 10 promising young researchers working in the field. The aims of the "Young Set Theory Workshops" are to bring together young researchers in the domain of set theory and give them the opportunity to learn from each other and from experts in a friendly environment. A long-term objective of this series of workshops is to create and maintain a network of young set theorists and senior researchers, so as to establish working contacts and help disseminate knowledge in the field. The conference will bring forth recent advances and trends in the mathematical theory of ordered statistical data, in order to facilitate the exchange of research ideas, promote collaboration among researchers from all over the world, and contribute to the further development of the field. The joint conferences on Algebra, Logic and Number Theory (ALANT) unite two simultaneous events: the Czech, Polish and Slovak Conference on Number Theory and the Colloquiumfest. The series originated in 2010, when the first meeting was organized in Bukowina Tatrzanska, and the second ALANT meeting was organized by the Czech side in Ostravice in 2012. The main theme of the upcoming meeting will focus on real algebra and its interactions with other branches of algebra, logic and number theory, with particular emphasis on quadratic forms and their axiomatic theories, linear algebraic groups and K-theory, valuation theory, as well as algebraic and real algebraic geometry. The goal of the conference is to keep in contact active and developing researchers working in complex analysis and its most important applications with some of the international leaders in the discipline. The main topics of the conference reflect the impact of Prof. Alexandre Eremenko (Purdue University) on modern complex analysis. During the conference we will celebrate his 60th birthday anniversary. The school program will contain basic introductory courses as well as an overview of very recent developments, including many exercises and open problems. The scope of the conference is intended to cover most aspects of modern combinatorics, including graph theory, probabilistic combinatorics, extremal combinatorics, combinatorial optimization, algorithmic problems, combinatorial number theory, applications of combinatorics in computer science. The school has been organized by Research Training Group run by Humboldt University, Technical University of Berlin and University of Potsdam in cooperation with the Mathematical Center for Science and Technology of the Institute of Mathematics Polish Academy of Sciences.Courses: Frank den Hollander, Universiteit Leiden, "Metastability of interacting particle systems at low temperature" and Jan Obloj, University of Oxford, "On aspects of the Skorokhod embedding problem and its applications"
The conference is intended to gather leading researchers in the following topics: symmetric functions, Schubert varieties and degeneracy loci, characteristic classes (especially of singular varieties), Thom polynomials, positive characteristic problems: arithmetic algebraic geometry, moduli problems tropical methods in algebraic geometry. The conference will celebrate 15 years of IMPANGA seminar and 60th birthday of Professor Piotr Pragacz. Information-based complexity (IBC), which is the theme of the conference, deals with the computational complexity of continuous problems for which available information is partial, priced, and noisy. As we study the computational complexity of such problems, we encounter many challenging research questions. It suffices to mention high-dimensional problems that occur almost everywhere. Their study has become one of the most important research areas. he conference “Geometry of jets and fields” is planned to be one of the activities of the research group associated to the project “Geometry of Jets and Field Theories” leaded by Prof. Janusz Grabowski. The project aims at providing a covariant and coordinate-free geometric framework for field theories and variational calculi of different types by combining the resources of the traditional differential geometry and the geometry of gauge and jet bundles with recently developed methods of graded geometry, supergeometry and homotopy algebras. The conference is devoted to functional equations and inequalities, their applications in various branches of mathematics and other scientific disciplines, as well as related topics. unit groups of rings, with a special emphasis an unit groups of group rings and related problems. The aim is to bring together specialist of various domains of nonlinear control theory representing theoretical aspects of the field as well as applications (mechanical control systems, robotics, quantum control, distributed decision making). Invited talks are expected to represent various approaches to control theory with emphasis on geometric methods. The main purpose of this conference is to facilitate the meeting of leading specialists in the Navier-Stokes and regularity aspects of PDEs on the occasion of celebration the 70th birthday of Wojciech Zajączkowski. The conference aims at bringing together specialists in Geometric Singularity Theory interested in Applications, as well as other researchers willing to connect with the Singularity Theory techniques. In particular, the diffusion of these methods and their potentiality in actual research problems among the young researchers (postgraduate and postdoctoral students) is one of the goals of the meeting. The overall goal of the school and conference is to bring together the leading experts in the theory of differential and difference equations in the complex domain from different countries, to tackle and find approaches to the open problems mentioned below, exchange recent research results, learn new methods in the related areas (which is invaluable especially for younger researchers) and identify new topics for future research. The meeting is also expected to promote existing and start new collaboration between colleagues in different countries. This is one of the events accompanying Simons Semester in Banach Center: Dynamical Systems,September 2015 - December 2015. The idea of the semester is to host scientific leaders, senior and junior, and a number of PhD students and postdocs to be guided. This is one of the events accompanying Simons Semester in Banach Center: Dynamical Systems, September 2015 - December 2015. The idea of the semester is to host scientific leaders, senior and junior, and a number of PhD students and postdocs to be guided. The workshop is an intensive week within the October programme on Fractal Geometry and Dynamics. The scientific focus of this workshop is on the interactions of almost hermitian geometry and metric aspects of contact geometry, and their wide applications in various areas of mathematical physics, such as superstring theory, general relativity and spin geometry. The scientific program covers broad range of topics from the mathematical structure of General Relativity (GR) and fundamental issues of the classical gravity, through the mathematical models of quantum gravity, to gravitational waves and their detection. There will be three series of four 90 minutes lectures given by three key speakers (altogether 12 lectures). The lectures will accompanied by workshop sessions, where the participants will be given the opportunity to work on specific problems and tasks related to lecture series. Our aim is to exchange scientific information about most recent results on foliations and related topics. The conference will bring together experts on Banach spaces, set theory, topology and algebras of operators, with special emphasis on the various ways in which these areas interact. 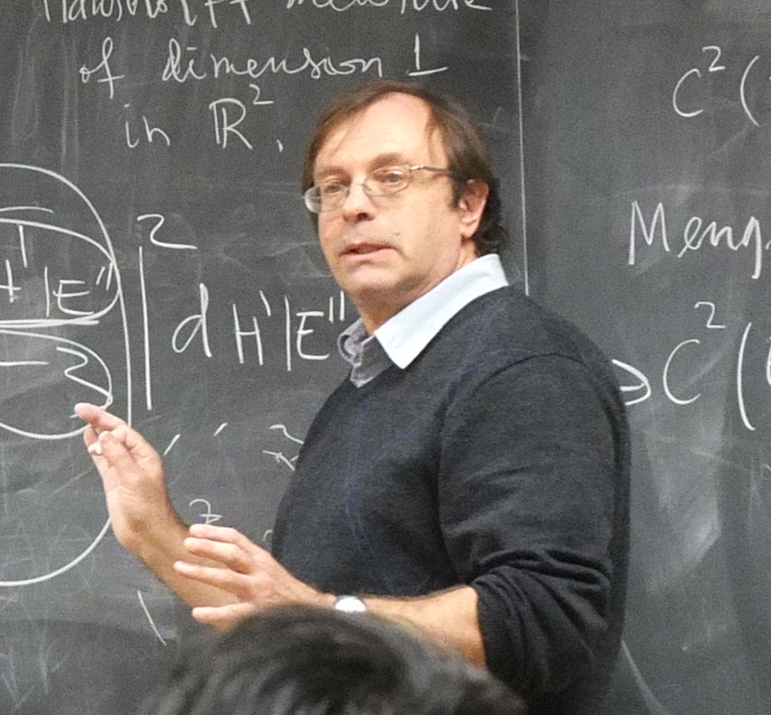 The aim of the conference is to cover some modern developments in the areas of analysis (notably, harmonic analysis, spectral theory of functions and operators, one-dimensional complex analysis, potential analysis, and their applications), in which Sasha Volberg has made substantial and recognized contributions over the years. The aim of this conference is to celebrate the 70th anniversary of Prof. Henryk Woźniakowski, in appreciation of his numerous contributions to information-based complexity (IBC) and computational mathematics in general. Particular topics of the conference include: tractability of high dimensional problems, complexity of deterministic and stochastic differential equations, Monte Carlo and quasi-Monte Carlo integration, digital nets and lattice rules, Markov Chain Monte Carlo, ill-posed problems, noisy information, application to finance. The series of Polish Combinatorial Conferences are meant to integrate Polish and international combinatorial community. The upcoming conference is mostly dedicated to young scientists, we plan several invited talks, and a couple of tutorials for PhD students, by leading world experts in Combinatorics. The Seminar ''Sophus Lie'' is an international seminar of mathematicians interested in the theory of Lie groups and Lie algebras and their applications. The goal of the workshop is to bring together leading experts working in currently particularly active areas of Lie theory, thus continuing with the main stream of activities of Seminar Sophus Lie. This workshop is dedicated to current developments of analytical techniques and to the state-of-the-art in mathematical fluid mechanics, and will bring together experts coming from different mathematical schools. The aim of this winter school is to prepare PhD students and young scientists to undertake research in the areas of Computational Mathematics on the intersection of Dynamics, Topology and Computations. International workshop "Ideal Fluids and Transport"
The main aim of this conference is to bring together both national and international scientists and PhD students working in the area of Theoretical Machine Learning in order to create an opportunity to exchange knowledge and current research directions. The aim of the conference series is to intensify international and interdisciplinary collaboration in probability and analysis. The conference will be an occasion to summarize the existing body of research and set further goals and joint projects. The goal of the workshop is to present recently emerging ideas in the theory of localized patterns of solutions to nonlinear elliptic partial differential equations. Special emphasis will be laid on the formation of singularities, spatial segregation, blow- up phenomena, geometry of solutions of singular limit problems and existence and classification of entire solutions. The aim is to bring together scientists from all over the world working in various fields of applied topology. The aim of the conference is to bring together leading specialists and young researchers in model theory. The conference Banach Spaces and Operator Theory with Applications is dedicateded to the 60th anniversary of Mieczysław Mastyło. The aim of the meeting is to gather specialists interested in mathematical analysis. The main goal of the conference is to bring together top class mathematicians working in the areas of geometric analysis close to the research interests of professor Tadeusz Iwaniec and to celebrate his 70th birthday. The conference is to honor Tomasz Nowicki's 64th Birthday. The aim of the conference is to cover some modern developments in low-dimensional dynamics and application to industrial problems. Algebraic K-theory and Arithmetic Geometry. The purpose of the conference is to bring together well-known specialists and young researchers working in set theory, topology, and their applications in other branches of mathematics, including algebra and functional analysis. The main goal is to bring together the mathematicians specializing in number theory, in particular analytic number theory.  The event will be open to all mathematicians, in particular those working in Poland in all areas of number theory. The aim of the conference is to bring together specialists of various domains of singularity theory representing very classical aspects of the field as well as new branches and applications to mathematical physics problems.